Asus is set to officially launch Zenfone 6 and Zenfone 6z next month i.e. in May at a launch event in Valencia Spain. 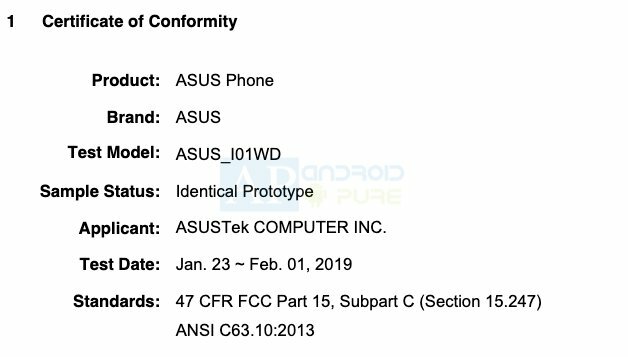 Ahead of the official launch which is still a month away, Asus Zenfone 6z has received the FCC certification. FCC lists the device model number as ASUS_I01WD but doesn’t reveal anything about the hardware specifications of the phone. The model number matches with earlier leaks. 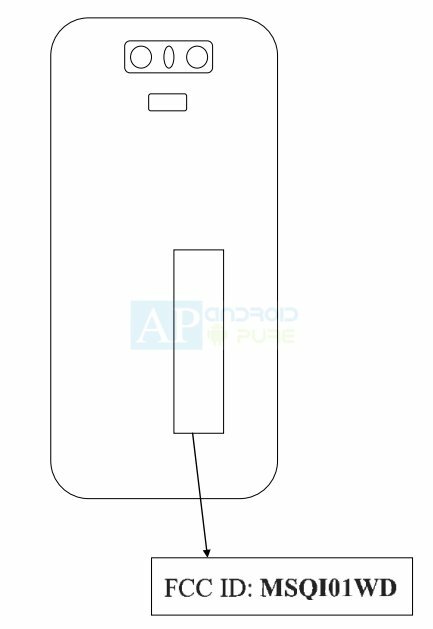 A schematic or sketch of the phone in the filing indicates a horizontal aligned rear camera module, probably with a fingerprint sensor below. We are not sure if the sketch indicates a triple camera module or just a dual camera module with a LED flash. You decide for yourself. 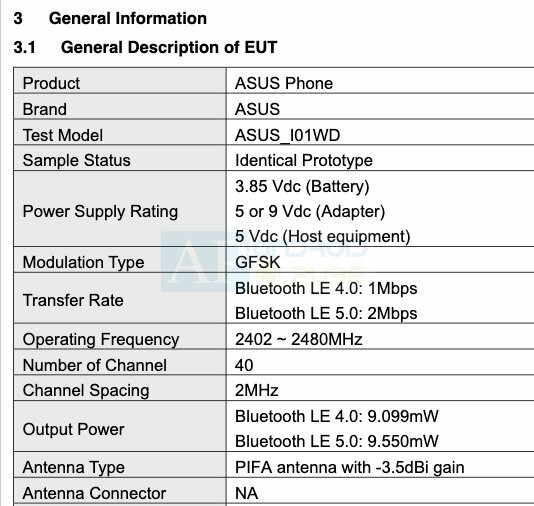 Asus Zenfone 6z has already appeared on Antutu and Geekbench benchmark tools, giving us enough sneak peek on what to expect from the upcoming device. Asus Zenfone 6z sports a Full HD+ display having a resolution of 2340 x 1080 pixels. The flagship is powered by Qualcomm Snapdragon 855 processor along with 6G of RAM. It comes with 128GB internal storage and runs on Android 9.0 (Pie) based operating system. Coming to Asus Zenfone 5Z, it sports a 6.2-inch Full HD+ 19:9 Super IPS display and is powered by Qualcomm Snapdragon 845 processor along with RAM up to 8GB. It runs on Android 8.0 Oreo based operating system with ZenUI 5.0 on top. In terms of camera, it features a dual camera module at the rear consisting of 12MP primary Sony IMX363 sensor with support for OIS & 0.03s Dual-pixel PDAF along with AI scene detection and another 8MP Sony IMX363 sensor with 120-degree wide-angle lens. On the front, it features an 8MP shooter with auto portrait & Selfie panorama modes for selfies and video calls.